PeterLabs Holdings Berhad Initial Public Offering (IPO) received an good response with its public portion of 15 million shares. It was oversubscribed by 4.96 times. The IPO attract 3,573 applications or 89.4 million shares. The new 35.9 million shares allocated for private placement were successfully being placed out. For the retail portion, 7.5 million shares were allocated for each Bumiputera and Malaysian Public category. The table above is the summary of the full allotment table. Notices of Allotment will be dispatched by post to all successful applicants on or before 25th July 2011. 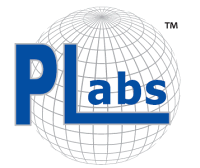 PeterLabs Holdings is expected to be listed on the Main Market of Bursa Malaysia on 27th July 2011 under stock name “PLABS”.